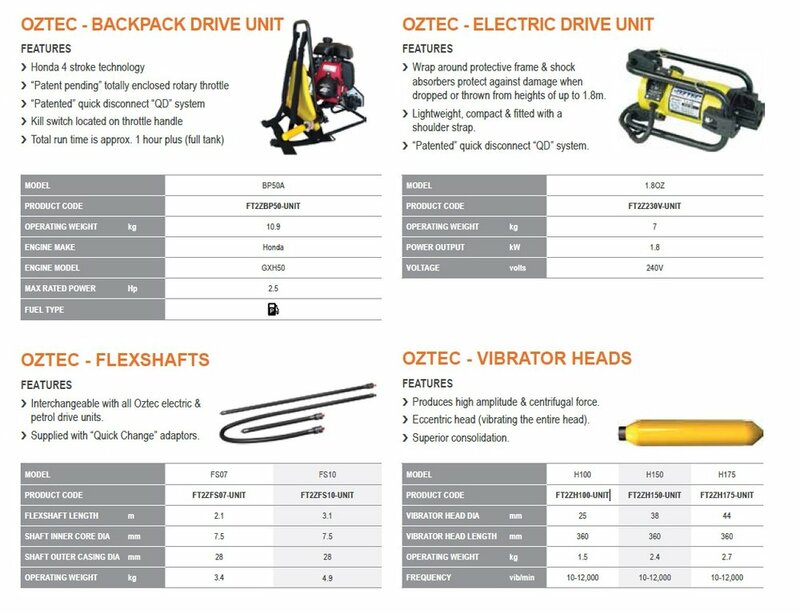 The Oztec range of Concrete Vibrators offers exception flexibility. 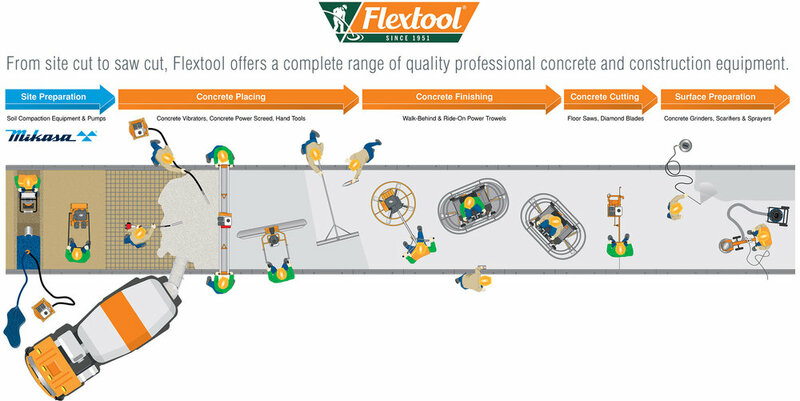 With the option of 240V electric or petrol backpack drive units; two flexshaft lengths and three vibrating head sizes, there is flexibility and combination of configurations for all sized concrete pours. Petrol Engine: Honda GXH50 2.5HP.